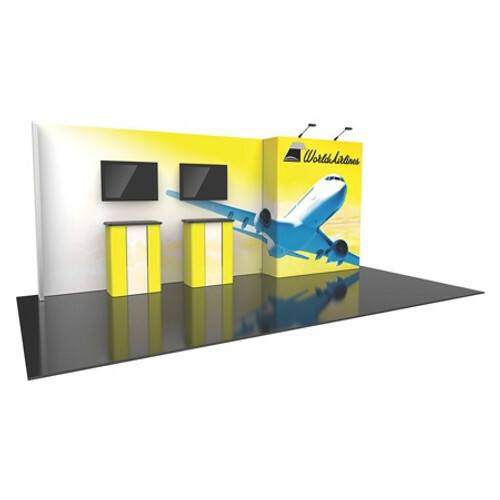 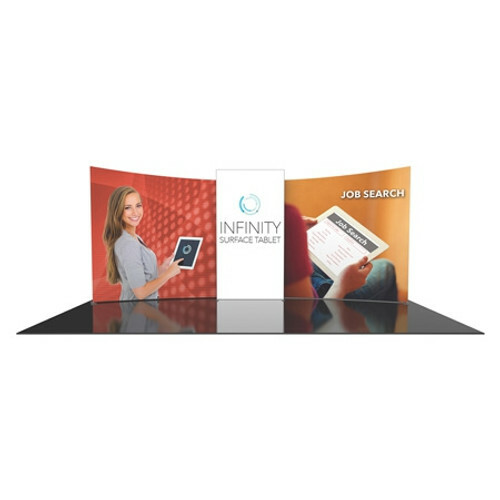 Some 10x20 displays offer slim designs and a narrow foot print, where others may take up more real estate on the trade show floor space. 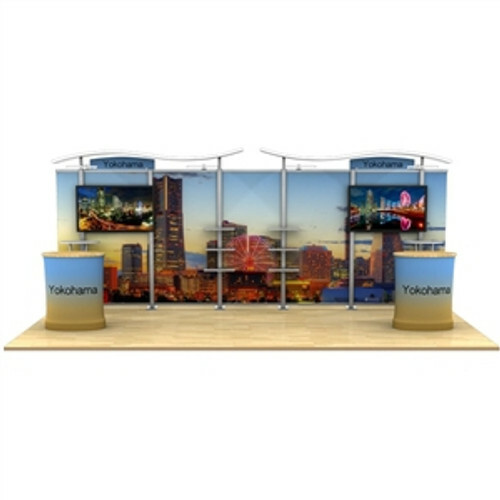 These systems can help separate your space to tell a story better, while others make the entire layout feel open. 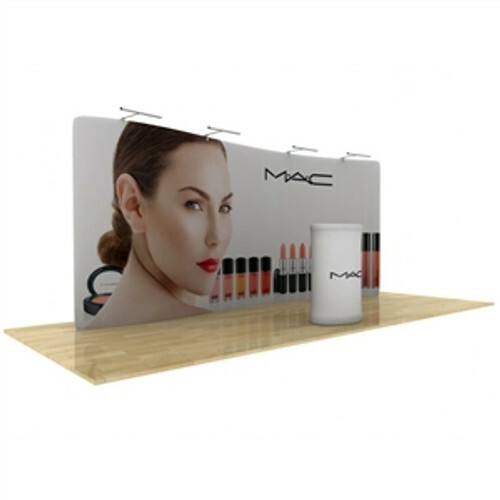 We have many customers who purchase a 20’ inline display with the plan to use only half of it for smaller 10’ shows. 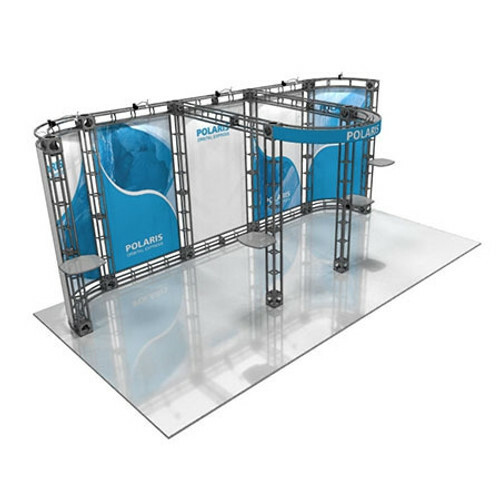 Modular displays like the Timberline and Vector Back Walls make it easy to do exactly that. 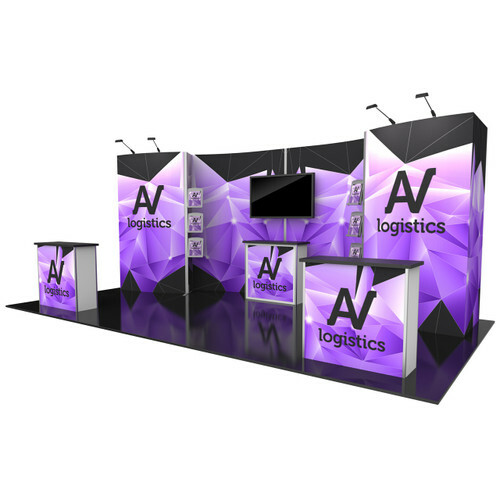 Sometimes a second set of graphics is needed, but with a little planning, many customers can get by with using only half of the graphics for the smaller events.